President Obama’s visit to India in January 2015 is highly significant for the growth of country and strengthen mutual relationships. Mr. Obama was invited as a chief guest on the auspicious occasion of India’s 66th Republic day and his acceptance of the invitation indicated that he took positive initiation for the friendship with India. It is very happy moment for Indian populace that Barack Obama is the first American President to attend India’s Republic Day festivity. Ahead of the high imagery that leads the visit, there are some noteworthyfeatures for the strong relation and progression of both nations. It has been observed that Modi’s invitation to Mr. Obama on the ceremonial function of republic day transformed Foreign Policy viewpoint. 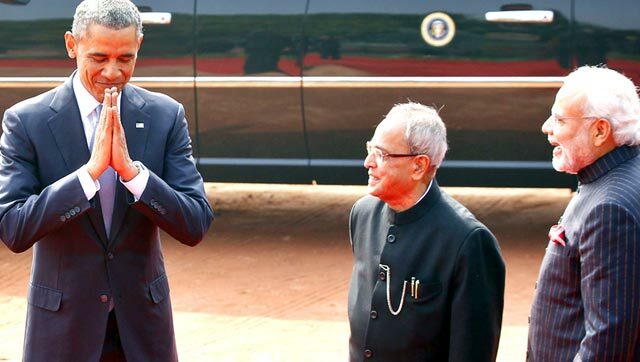 India-US relations became healthier by the visit of Barack Obama and it signals a strong desire by both parties to reinforce the joint ventures in many areas. The meeting will centre on mutual and monetary ties as well as issues of provincial and internationallevel. In this historical visit, both Indian Prime Minister NarendraModi and US President Obama freely interactedexpressively on various issues in numerous sectors and hoped to meet challenges through intelligent and practical way. When analysing financial bonding, it is established that Visit of US president will be fruitful for economic cooperation. The two sides discuss ways in which US can contribute in Modi’s domestic monetary plan and ‘Make in India’ proposal. The two are accepted to firm up a deal on ‘US’ participationto develop three smart cities in Vishakhapatnam, Allahabad and Ajmer and take assistance of US in building infrastructure. There are several challenges for Mr. Modito get solutions for lessening American concerns about limited access to the market, complexity in doing business in India, Intellectual Property Rights and taxation policies. These issues are addressed by implementing Modi’spromise of making India safe and unproblematic place to do business at State and national level. Likewise, major issues of India such as access to high-technology products, migration, hurdles to temporary workflows must be tackled by the American counterpart. Another significant aspect of Obama’s visit is to discuss about Renewable Energy and Climate Change. An India-US talk on renewable energy and climate change was also initiated from Modi’slast year visit to the US and still continued. Both nations finalized some deals associated to renewable energy cooperation in terms of private sector and technology for better use of clean energy. India has avowed that it visualized the US as main associate for capital, technology, knowledge and skills in its development effort as potentially important source of clean energy technology and hydrocarbons. In Hyderabad house, Mr. Obama and Mr.Modi mentioned progress toward civil nuclear agreement, as well as advancement on climate change and defence ties. President Obama proclaimed a cautious concord in New Delhi on 25th January’2015 with India’s prime minister to open the country to U.S. firms investing in nuclear powerbusiness. This will be great effort for improved bilateral relations. The president Obama and Prime Minister NarendraModi believed that they have good understanding on liability of U.S. companies in the event of a nuclear accident, and on U.S. perseverance to track nuclear. 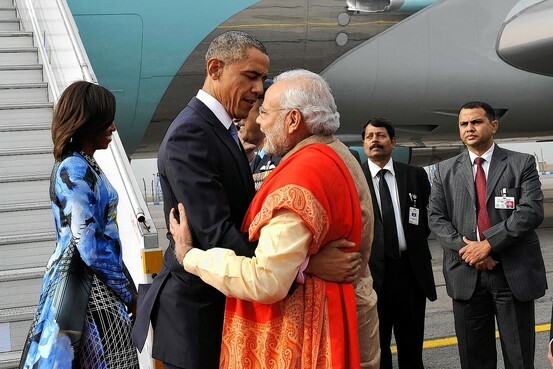 According to news report, Mr. Obama with Mr. Modi said that “We are committed to moving towards full implementation”. “This is an important step that shows how we can work together to elevate our relationship”. In the area of Defence Ties and Joint-Development, both nations agreed to enhance defence ties with a focus on joint-development. Both India and US renewed their ten years defence structure and agreed to follow joint development projects.India-US joint development has become progressive. This new defence outline will improve bilateral defence collaborations through joint military exercise and in-depth intelligence sharing, maritime security efforts. According to Mr. Modi, this step of enhancing defence relationship will make advancement in domestic defence industry. He also said that both nations will find the cooperation in other fields of defence technologies. Mr. Obama said that these relations will make new vision for Asia pacific.There has been a mindfuleffort to move from a ‘buyer-seller’ equation to that of ‘co-producers’. 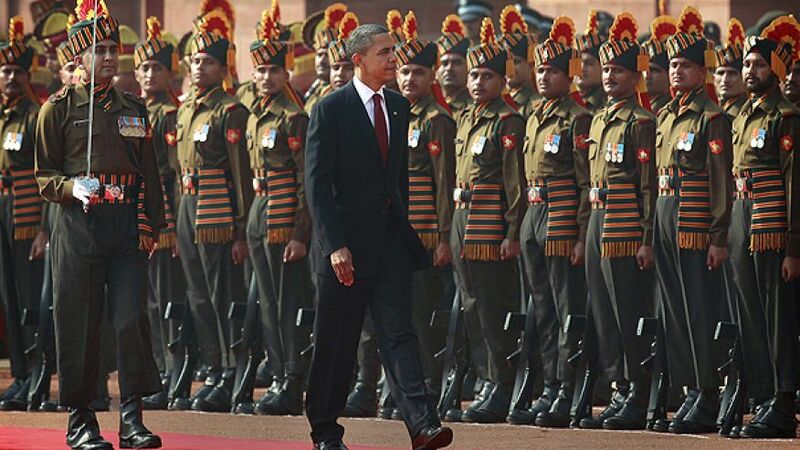 Other feature of Obama’s visit to India on republic day ceremony was Strategic Understanding between two nations. In this visit, both New Delhi and Washington made healthy partnership with strategic interests. During this important visit, both heads of country got an opportunity to converse issues and their positions on a range of regional and global affairs though there were some differences. To relax American concerns on the bill, India has offered to establish an insurance pool to cover concerned firms.